Capsicum annuum "Inferno Hot Peppers" are a mildly hot chili pepper that are best used fresh or pickled. The Inferno pepper plant produces an abundant yield with a long harvest time. Once peppers on the plant begin to mature, continual picking and harvesting of Inferno peppers will promote more pepper production. The color of Inferno chili peppers indicates the stages of maturity. Inferno hot peppers mature earlier than many other pepper plants and you can begin harvesting sooner. Seed germination to fruit maturity is around 62 days, though because the Inferno pepper plant continues to produce peppers until the first frost, the harvesting of your Inferno peppers will last four to six weeks. Planting your Inferno pepper seeds after the threat of frost in the spring will have you picking the first ripe peppers by mid August, continuing into late September. The size of an Inferno pepper is an indication that it is ready to be picked. Inferno peppers have an elongated banana shape. Mature peppers will be 6 to 8 inches long and 1 to 1.5 inches wide. The Inferno hot pepper plant grows very uniformly shaped peppers, and it will be easy to distinguish the mature fruit from immature by the large, elongated size. Using the color of any variety of pepper is one of the easiest and best ways to know when to pick it. Inferno hot peppers first turn a lime green, which fades to yellow, then can turn red on the plant. 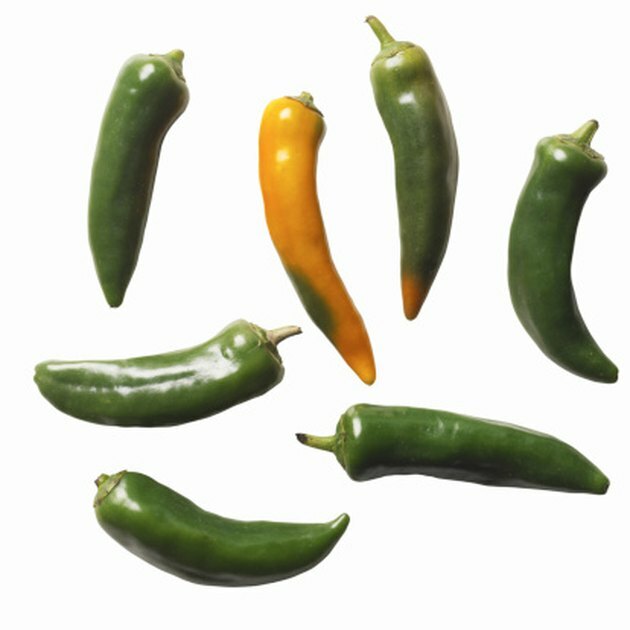 At each of these color stages, the Inferno pepper can be harvested, depending on the level of spiciness you want. 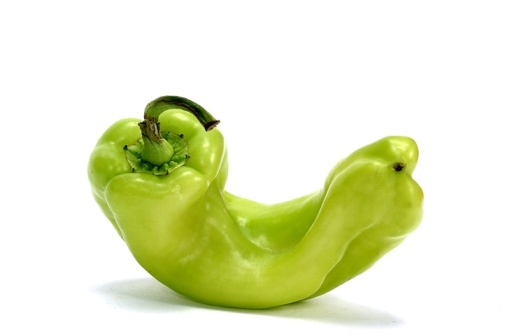 At the somewhat immature stage of lime green, the pepper will be very mild. Yellow-colored Inferno peppers are at the peak of ripeness and flavor. Allowing the pepper to turn red on the plant will give you the hottest flavor. Inferno peppers are a thick-walled, fleshy, mildly hot pepper, which makes them ideal for roasting, pickling or using fresh. Because of the thick walls, this pepper should be dried because the inner flesh of the pepper may not completely dry before developing mold or rot. Fresh-picked Inferno peppers can be refrigerated for up to two weeks, or frozen in an airtight container for two to three months, retaining its peak flavor. At home in rural California, Kate Carpenter has been writing articles and Web content for several well-known marketers since 2007. With a Bachelor of Fine Arts degree from the University of Kansas and a Master of Education equivalent from the University of Northern Colorado, Carpenter brings a wealth of diverse experience to her writing.